What a mouthful! Oh, and the name is pretty intense, too. I’ve been getting back to eating my fair share of fruits and veggies, but baking has always been a sort of therapy of mine. 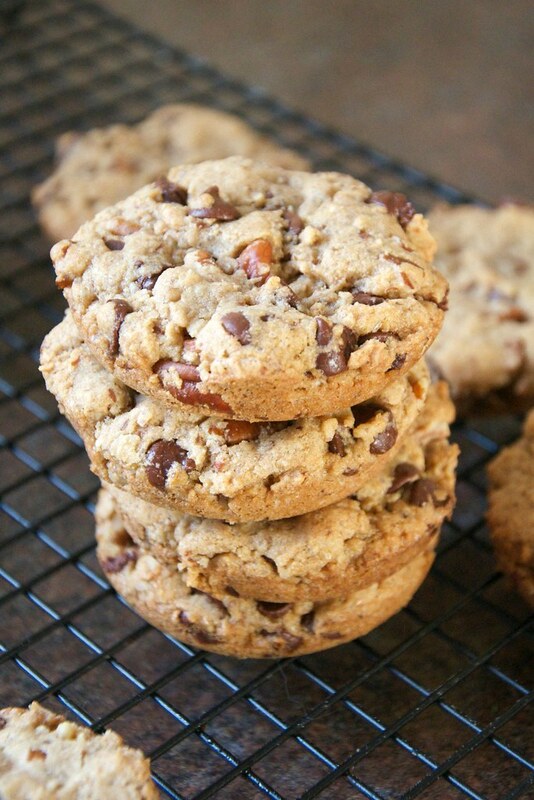 So, I decided to take a fresh set of eyes to my old favorite cookie recipe -- Pecan Chocolate Chippers -- and make a few modifications to take it over the edge into nirvana. Makes 24 large cookies. Consider making a half batch. Preheat your oven to 400 degrees F. Lightly grease a cookie sheet with coconut oil or Earth Balance and set aside. 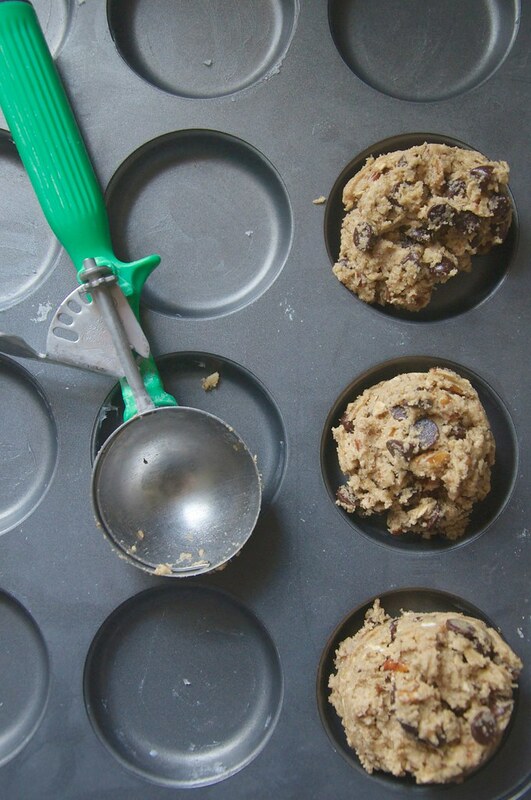 NOTE: I have been using my Wilton Muffin Top Pan for most cookie baking lately. I highly recommend trying your cookies in one! Then add in the flax, water, and vanilla extract and beat until well combined. Add the flour, oats (however much you like -- I usually do 3/4 cup), baking soda, and salt. Mix on low until dough comes together. 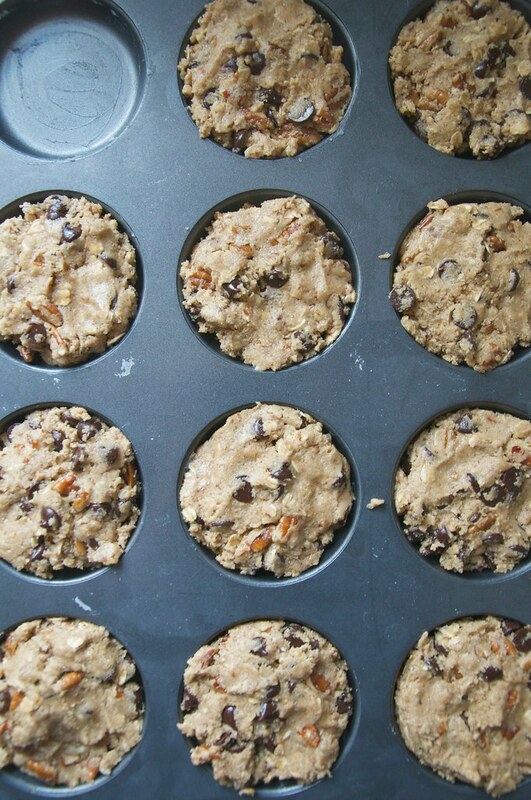 * You’ll want to first add 2 cups of flour, add the rest of the ingredients, and then slowly add the 1/2 cup. It depends on how tightly your flour is packed, etc. -- dough shouldn’t be too wet or too dry. 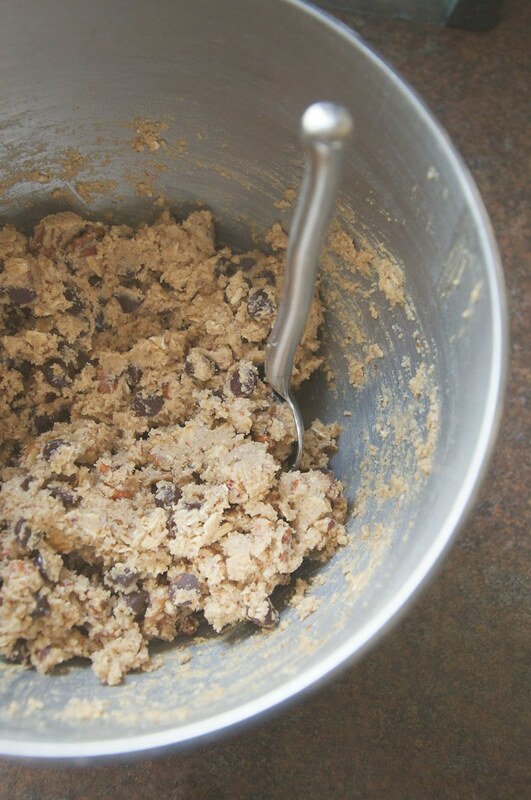 Then add in the pecans and chocolate chips and continue mixing until everything is combined. Scoop dough by scant 1/4 cupfuls onto your pan. Then flatten slightly before baking. Alternatively, you can scoop heaping tablespoons onto your baking sheets to prevent crowding, yielding more like 40 cookies per batch. I’ll admit that I haven’t made this recipe on a normal baking pan, so proceed with caution if you’re making the BIG cookies. Bake for 8-10 minutes. Shorter bake time for smaller cookies, longer bake time for the big guys. 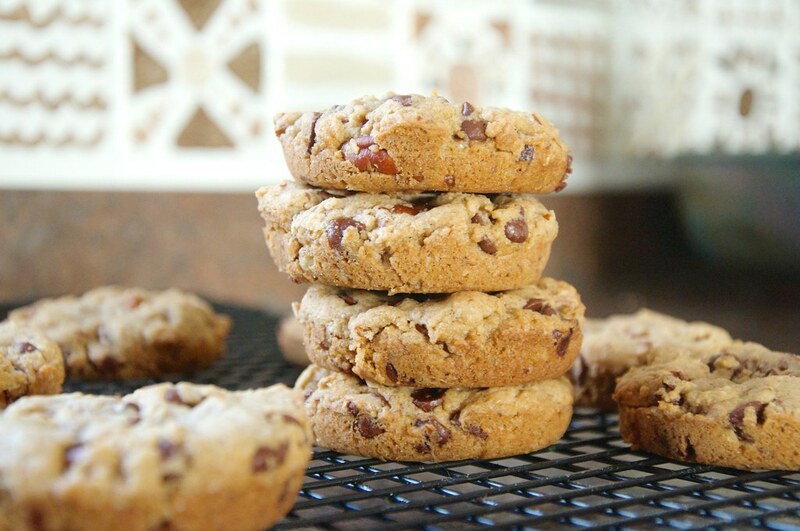 Cookies are done when they are lightly browned at edges. Then remove from oven and let sit in pan for 5 minutes before gently transferring to a cooling rack.